The Indian sports and fitness goods market reached a value of US$ 3,621 Million in 2018. The market value is further projected to reach US$ 6,054 Million by 2024, growing at a CAGR of 9.0% during 2019-2024. Sports and fitness goods refer to equipment which is essentially required for maintaining the fitness level and preventing potential injuries. Some of the sports goods include balls, nets, sticks, bats, wickets, racquets, etc. Sports is considered an important part for the overall growth of an individual. As a result, numerous schools, colleges and other public institutions in India are encouraging students to opt for physical education as well as other curricular activities. Besides this, growing awareness about personal health among the Indian population has led them to join health clubs and gyms or actively participate in different sports. In addition to this, they are also engaging in unconventional fitness activities like zumba, kickboxing and aerobics. Rising interests in these activities has augmented the expansion of fitness centers across the region, in turn, propelling the growth of the market. India represents a large customer base for sports goods. The population of India in 2018 was around 1.3 Billion which is equivalent to around 18% of the total world population. Moreover, A large share of its current population is represented by the young generation (the age group 15-29 years constitutes more than a quarter of the total population of India) which is the target consumer base for sports and fitness products. Social media has largely grown to encompass a major proportion of the Indian population and is acting as a catalyst in driving the growth of the sports and fitness sector. Through social media, sports and fitness product manufacturers have developed new way of communication with the audience. Popular social media channels such as Facebook, Instagram, Twitter, etc. have dedicated webpages to advertise products by elaborating their specifications and functionalities which increases a consumer’s engagement level. This helps in building the brand recognition, affinity and loyalty of customers. Moreover, many sportspersons also use this social media to connect with their fans and endorse their brand affiliations which helps in the promotion of various sports and fitness goods. Moreover, sports franchises in India are taking several initiatives to raise fan engagement, this includes starting a fan page on the official website, arranging a meet up with team players and, organising training camps and talent hunt programmes. Another major trend catalysing the demand of sports and fitness goods is the rising public and private investments in infrastructure development. The government has been upgrading various existing stadiums, parks, clubs and health centers and many new ones are coming up. Private investment in infrastructure have also increased significantly with all major residential societies coming up with clubs, gyms and ample space for doing outdoor sports. The infrastructure in schools, colleges and other institutions are also being upgraded with facilities such as gyms, swimming pools, stadiums, courts, etc. With more and more individuals now having an access to such facilities the demand of sports and fitness goods is also increasing. On the basis of cardiovascular equipment, the market has been categorized into treadmill, stationary bike, rowing machine, elliptical and others. The market is highly fragmented with the presence of numerous small and large manufacturers who compete in terms of prices and quality. The report also provides competitive landscape and the profiles of key players that are operating in this market. This report provides a deep insight into the Indian sports and fitness goods market covering all its essential aspects. This ranges from macro overview of the market to micro details of the industry performance, recent trends, key market drivers and challenges, SWOT analysis, Porter’s five forces analysis, value chain analysis, etc. This report is a must-read for entrepreneurs, investors, researchers, consultants, business strategists, and all those who have any kind of stake or are planning to foray into the sports and fitness goods market in any manner. How has the Indian sports and fitness goods market performed so far and how will it perform in the coming years? 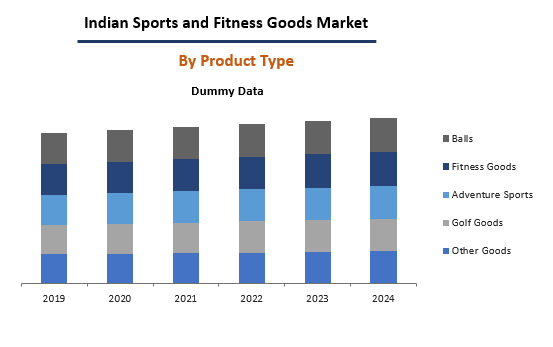 What are the key regions in the Indian sports and fitness goods market? Which are the popular product types in the Indian sports and fitness goods market? What are the major end-use sectors in the Indian sports and fitness goods market? Which are the popular fitness goods in the Indian sports and fitness goods market? 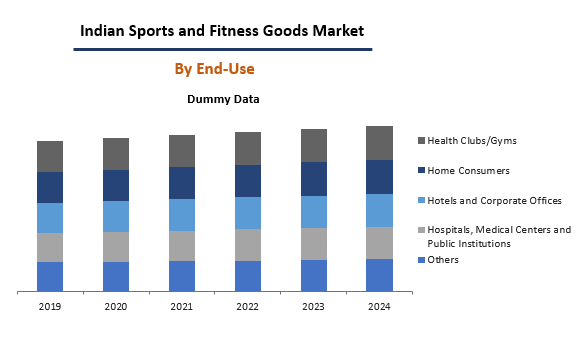 What are the key cardiovascular equipments in the Indian sports and fitness goods market? What are the various stages in the value chain of the Indian sports and fitness goods market? 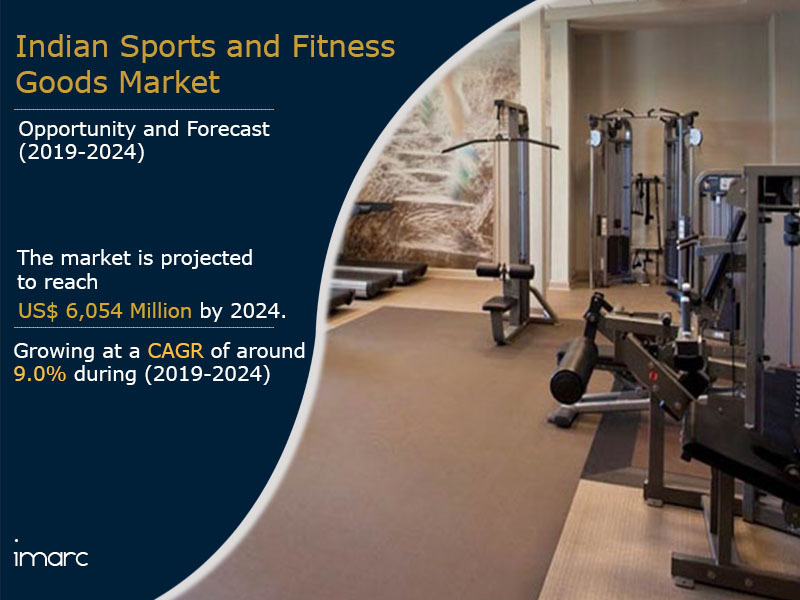 What are the key driving factors and challenges in the Indian sports and fitness goods market? What is the structure of the Indian sports and fitness goods market and who are the key players? What is the degree of competition in the Indian sports and fitness goods market?